On October 26th Noel Gallagher joined U2 on the stage of O2 Arena. After playing ‘I Still Haven’t Found What I’m Looking For’, they performed a cover of The Beatles’ ‘All You Need Is Love’. NME ranked the best Noel Gallagher’s covers, starting from the best. It’s the orchestral backing that does it – Morrissey’s melancholy is turned into a Gallagher-inspired symphony here, with the line “If a 10-ton truck kills the both of us…” sounding like a rather pleasant way to go out when it’s performed like this. Way to bury the hatchet: the Britpop Cold War officially ended on stage in March 2013 as the generals of the opposing parties let bygones be bygones to perform this Blur classic, all in the name of charity. A delightful cover that was so historic that it’s often overlooked that support on drums that night was provided by some fella by the name of Paul Weller – look closely, he’s in the back doing his best Dave Rowntree impression. Bit of a supergroup feel about this one: Noel is joined by Small Faces organist Ian McLagan and drummer Kenney Jones, along with the Modfather himself, to deliver a rockier take on the chirpy, psychedelic-leaning original from 1967. Performed at a gig held in honour of the late, great Steve Marriott, it’s a rousing tribute. The Stereophonics frontman leads this cover… wait, come back! It’s actually quite good! This acoustic-ish version of the Revolver song is surprisingly listenable, even if Jones’ vocal is gravellier than Tom Jones at B&Q. Not the best recording – unless you’re into hearing the audience clapping as loud as the instruments – but it’s still a fine effort from Noel as he covers Richard Ashcroft’s finest moment, with a stirring finish that befits the grandeur of the original. Look, if Sainsbury’s can sell turkey and stuffing sandwiches in October, then we can listen to Noel’s cover of the song that keeps Noddy Holder’s pension pot healthy without feeling too guilty about jumping the Yuletide gun. Originally featured on The Royle Family’s 2000 Christmas Special, it’s a slower yet competent version of the song that your drunk uncle no doubt serenades your gran with every Christmas morning. “Aaaaaaaall yooou neeeeeed is looooooove!” bellows Bono in one of the least subtle segues – from U2’s ”I Still Haven’t Found What I’m Looking For’ into The Fab Four’s timeless classic – ever attempted in music history. Noel’s love of The Beatles is well-documented, so it’s up to him here to bring some decorum to proceedings – and he succeeds with a softer vocal than his fellow frontman. It’s short and sweet too; no ‘Hey Jude’-type mammoth singalongs here. “This is a once-in-a-lifetime [moment], ya bastards!” Cheers, Chris – Noel barely exerts himself here over the four-chord Coldplay cut, joining in occasionally with cooing backing vocals at this Make Trade Fair benefit concert. Not exactly one for the ages. 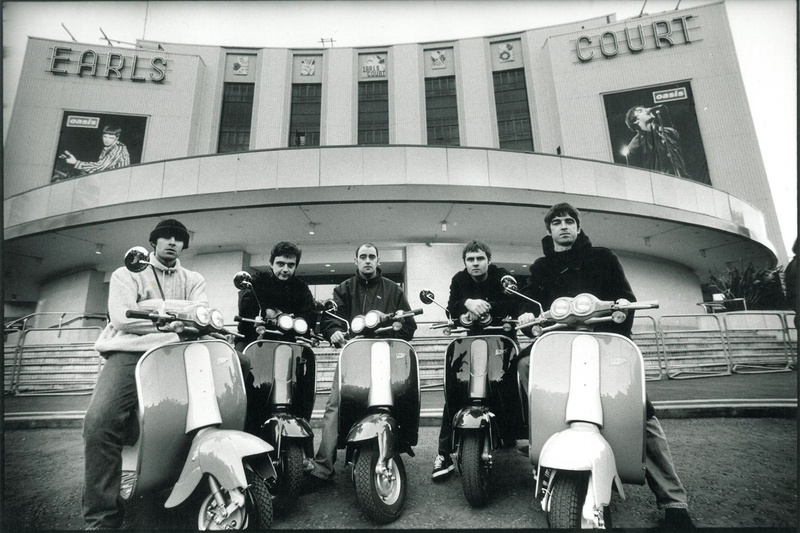 This is nice enough, but c’mon Noel – this has a bit of an open mic feel to it, doesn’t it? 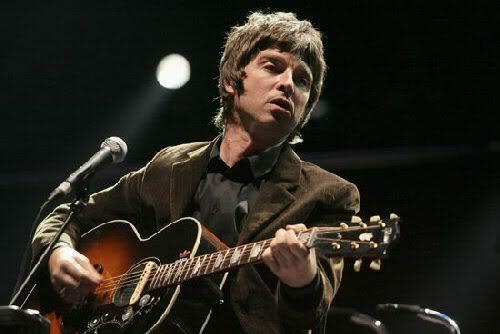 Veering between loud’n’quiet guitar strums, it showcases that a) Noel can sing and play the guitar very well, and that b) he quite likes The Beatles. And, er, that’s about it. Nice lighting, though. Tough one, this: ‘Heroes’ is undoubtedly a great song – albeit the kind that everyone bar Bowie should leave well alone. And it seem that this even includes Oasis, as Noel fronts a rather overblown cover – the B-side to ‘D’You Know What I Mean?’ – that retains very little of the original’s zeal.